We will be returning to The Borough Hall in Godalming for our monthly Saturday Freestyle dances. Widely acknowledged as having one of the best dance floors in the area the venue boasts a superb sprung wooden floor in an airy hall with high ceilings. The main room which will be CEROC care of DJ Rob Starting with a warm up class with Emma at 8pm followed by freestyle from 8pm - midnight. The 2nd room goes SILCy with slower more expressive sounds from 8pm to midnight. Admission: £11 on the door. 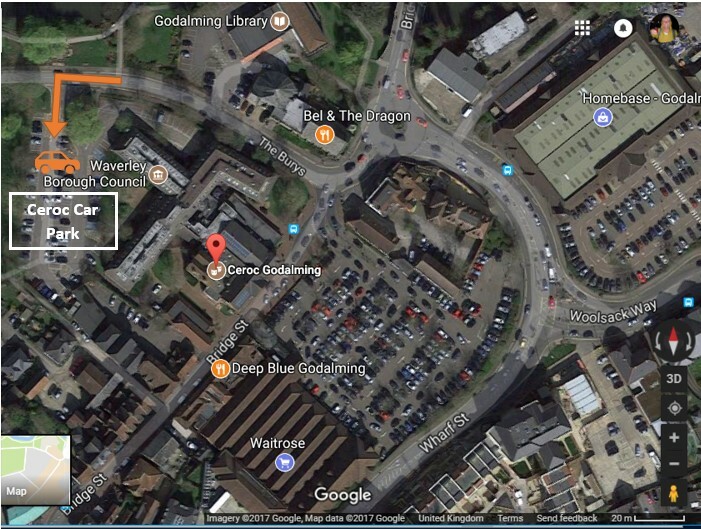 The venue is located in the centre of Godalming, at the bottom of Bridge Street opposite Waitrose Car Park. There is a large car park to the rear of the venue which is FREE. Parking in the Waitrose Car park is generally OK but sometimes they close the barriers.